The size of Earth, like the size of all of the celestial bodies, is measured in a number of parameters including mass, volume, density, surface area, and equatorial/polar/mean diameter. While we live on this planet, very few people can quote you the figures for these parameters. Below is a table with many of the pieces of the data used to measure the size of the Earth. Those numbers tell you the size of the Earth, but what about its other statistics? The atmospheric pressure at the surface is 101.325 kPa, average temperature is 14°C, the axial tilt is approximately 23°, and it has an orbital speed of 29.78 km/s. Earth orbits with a perihelion of 147,098,290 km, and an aphelion of 152,098,232 km, making for a semi-major axis of 149,598,261 km. Even though we need oxygen to survive, it is the second most abundant component of Earth’s atmosphere. Nitrogen accounts for 78% of the gases in the atmosphere and oxygen occupies 21%. The Earth only has one moon. That is pretty uncommon in our Solar System. There are currently 166 recognized moon in our system. There is one asteroid that has a quasi relationship with Earth. 3753 Cruithne has a 1:1 orbital resonance with the Earth. It is a periodic inclusion planetoid that has a horseshoe orbit. It was discovered in 1986. Since we occupy this planet, it is understandably the most extensively studied body in space. We have sent scientist to most of the corners of our world. Yet, we find dozens of new species each year and there are areas that have rarely seen a human’s footprints. There are aspects of our world that we do not understand and have theories too inadequate to explain. Science is light years ahead of where it was just 50 years ago. These advancements are exciting enough to make the possibilities of the near future seem boundless. Now that you know the size of the Earth, you could look for information on extremophiles, the Mariana Trench, and the Tunguska event. Earth bound events are often taken for granted since we live here, but, with a little research, you may find much more excitement outside of your back door than you ever expected. We have written many articles about the Solar System for Universe Today. 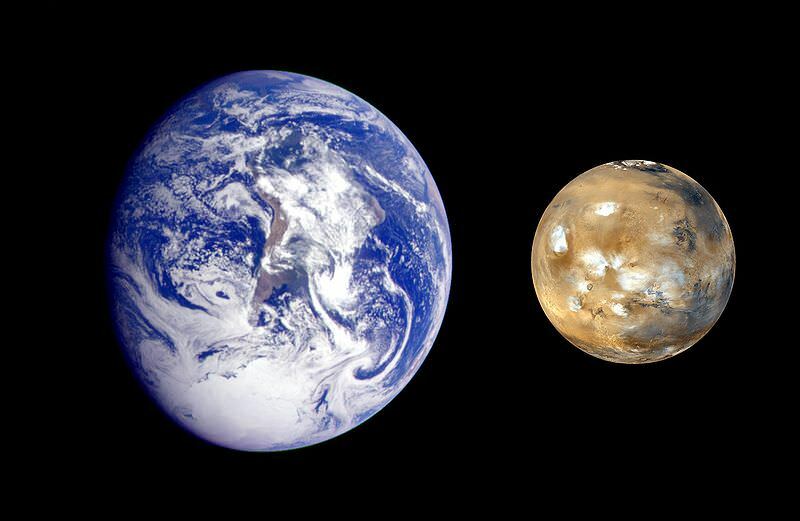 Here’s an article about the size of Mars, and here’s one about the size of the Moon.